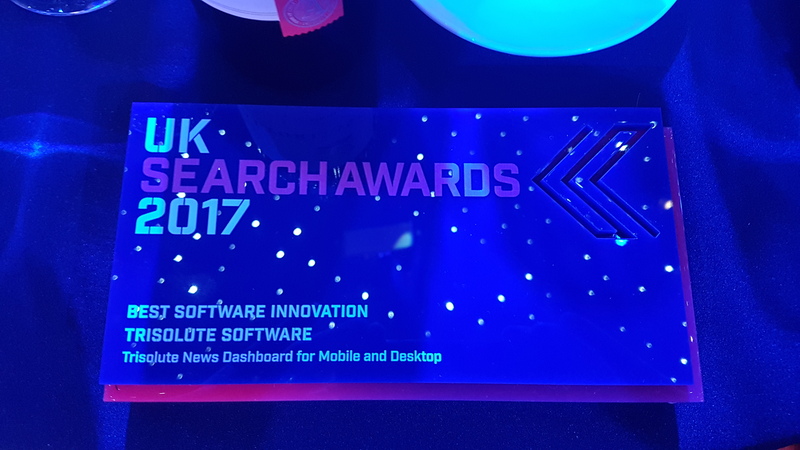 The Trisolute News Dashboard for mobile and desktop won the 2017 SEO Software Innovation award during the UK Search Awards on Thursday, Nov. 30, 2017. We are simply over the moon about our win last night at the UK Search Awards 2017 in London – not too far away from our home base in Germany. We send a huge “thank you” to our customers, incredibly hard-working team and the great folks behind the UK Search Awards. Mobile data: We offer a fuller package of mobile data to analyze, both in our Action Dashboard for real-time analysis of News Box, Publisher Carousel and Page 1 organic link rankings, and in our KPI Dashboard, which focuses on visibility over time compared with competitors. 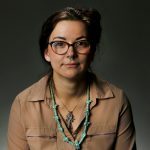 “The Score”: This weighted visibility measure not only considers if a publisher has an article that ranks for a keyword, but where within the SERP (search engine results page) and within the ranking type the article appears. Keyword clusters: Publishers can sort their keywords by category, news event, series, article, author and more. 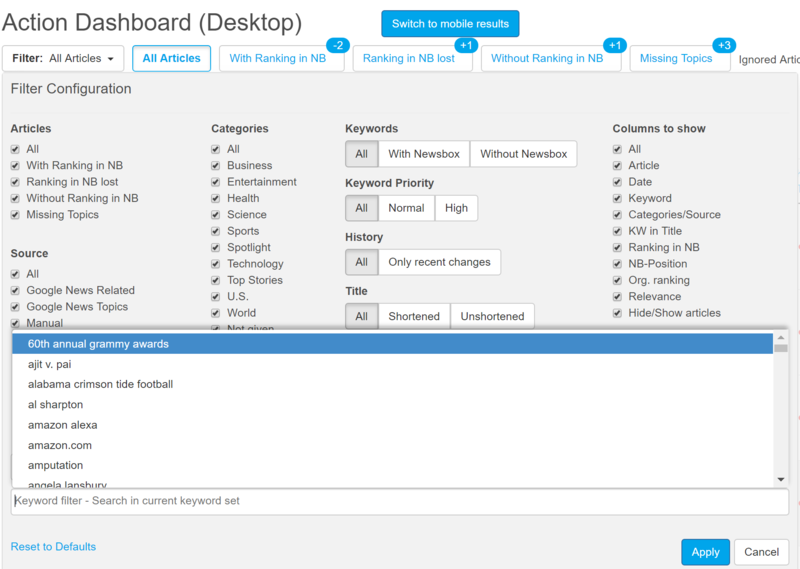 They can also sort by single keywords and create clusters on the fly as they see trends of interest in both dashboards. The UK Search Awards “have been celebrating the expertise, talent and achievements of the search industry for over half a decade and are regarded as the premiere celebration of SEO, PPC and content marketing in the UK,” according to their website. The 2017 edition was presented on Nov. 30 at Ballroom South Bank in London. 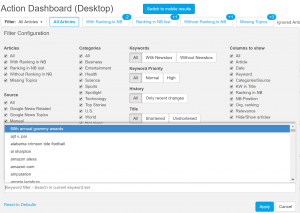 The News Dashboard is, of course, an SEO and search visibility analysis tool specially developed for news publishers. We have many happy customers who are improving their news SEO daily across Europe and the U.S. If you’re interested in news SEO and trying out the News Dashboard, please request a demo. Just in the last two years, News Dashboard has also earned the 2017 MENA Award for Innovation – Software, 2017 German SEMY (Search Marketing Award) for SEO Software Innovation, 2016 U.S. Search Award, 2016 UK Search Award and 2016 German SEMY for Best Specialized SEO Tool. We could not have done it without the continuous feedback from our loyal customers, the help from our partners, the recognition of the judges and all the outpouring support from our friends. Thank you again for believing in us! And congratulations to the other winners and finalists in all categories. And look for a website redesign and a tool redesign coming from the News Dashboard in 2018.